That lipstick is perfect for Christmas! ..and another enters the competition! Please enter me! Pretty colour!! I want, I want, I want!! Pretty please. Awh, the colour is too sweet! Reminds me of Spring. Oh, Crimbo is on its’ way 😛 Enter me, please. I have missed so many of these great giveaways. Not missing this one! Thank you so much for doing all this. Very pretty lipstick, I’ll chance my luck. 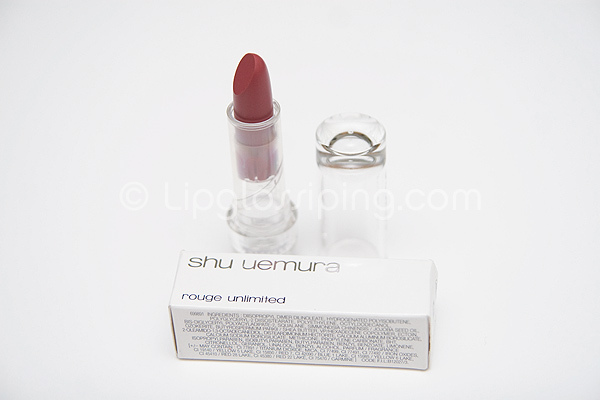 I’d love to try a Shu Uemura lippie! Count me in please!